Beautiful Northside 3 bed 2 bath 3 car boat (36')deep garage Pool Home. Lake Views from front of home. 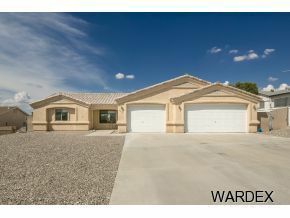 Desirable open floor plan w/ vaulted ceilings. Tile in main living area. Master has walk in closet, dual sinks, jetted tub and tile walk in shower. Heated pool has jacuzzi, baja shelf and slide. Walk in pantry. Covered patio w/ speakers & ceiling fans. 3 car garage with pull through door in 36' bay. Level driveway. Easy maintenance landscaping.